The order in which I play games is sometimes a little unnecessarily complicated. I’m often balancing many different variables when determining the next game to play. This time it was the fact that I wanted to listen to the LIMBO soundtrack. I’d obtained it as part of the Humble Bundle that gave me the game and because soundtracks can sometimes spoil plot elements, I didn’t want to listen to it until I’d played the game. The rest of this review will contain spoilers. The game is about 3 years old now, but if you want to play this game, go play it before you read anything about it. Back in 2009 I spent an entire blog post discussing how Braid was a deconstruction and reconstruction of platformers, especially Super Mario Brothers. You knew to begin by moving to the right because that’s what you always do. It was a major source of the humor in Thomas was Alone. For the most part, Braid expected you to figure the world out on your own, but it would display hints in the environment to let you know that you could step on the enemies, as one example. Bastion, which I played in 2011 and 2012, similarly depends upon a familiarity with the medium combined with a reminder on the bottom right of what the controller’s buttons did. It was essential to Bastion’s narrative not to truly provide you with more than the barest of hints because the protagonist was an amnesiac following The Calamity. Between those two games I thought I had experienced the ultimate in platforming minimalism, but then I played LIMBO. 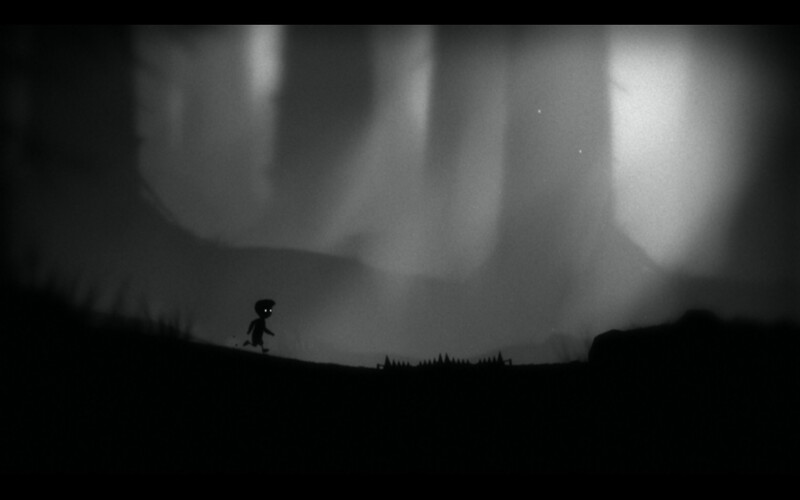 When LIMBO starts, your main character is laying on the floor in the woods of a monochromatic world. The player is given absolutely no hints about what is going on. The game is the antithesis of modern video game design. While Bastion also has your character wake up without a prologue, the narrator immediately comes in and lets you know something horrible has happened. He’s also your companion in this hostile environment. 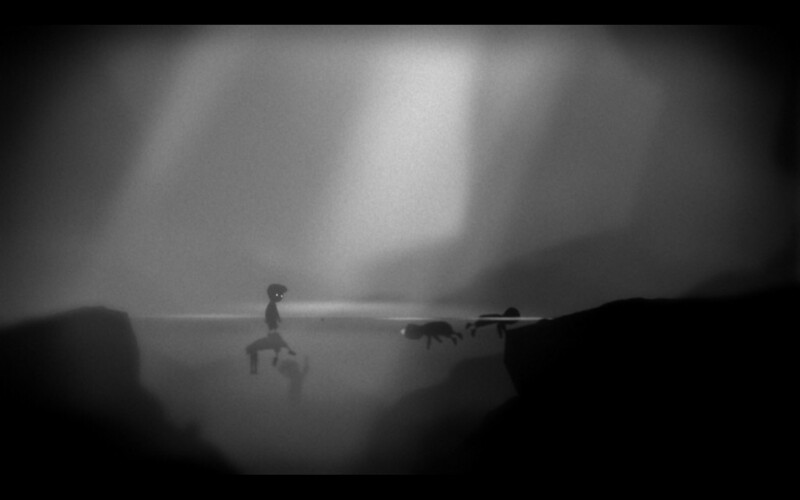 LIMBO doesn’t even give you any hints of what to do. Like Braid it’s depending on your understanding that characters in video games primarily progress to the right. A tap on the arrow key prompts my character to get up. Again, unlike every modern game (and every Final Fantasy game going back AT LEAST to 6), the game does not use the first few minutes as a tutorial. The game leaves you with a sense of loneliness and tells you NOTHING. It is appropriate that the game wishes you to feel despair as your character seemingly does. This is a dark world, both visually and metaphorically. The audio production is dark. But the first time you realize something horrible is going on here is when walking to the right you suddenly walk into a bear trap and your character is horribly torn apart. THIS is how the game communicates to you; by killing you. Over and over again, the game teaches you new mechanics and techniques through death. You overcome that obstacle and later come to a tree that needs to be pushed over so you can cross some water. You push it and it squishes you. Try again, this time running right away. In addition to subjecting your character to many horrible, horrible deaths, the game also has even more darkness within. The first ¼ to ⅓ of the game takes place in the woods and your biggest nemesis during that section of the game is an enormous spider. The first time you meet the spider, you only see its legs and it’s not 100% certain what it is you’re up against. If you get too close it stabs you. You need to set bear traps to destroy its legs. However, when you next meet it (or, more likely, another spider), it wraps you up in a silk cocoon as if to come back and eat you later. When you escape you have to bounce around the world while wrapped up in the silk cocoon. It is definitely some horror imagery. Even then the game’s darkness can still descend. I have nothing to back me up, but the protagonist appears to be a kid, maybe an early teen. Later you meet up with some people who appear to be adults. And all they do is try to kill you. They drop bear traps at you and do all sorts of other things, including chasing you with blow darts, to try and kill you. And all around you are other kids who are dead (and one trapped in a box) and it seems pretty apparent these adults are the reason. At one point you even need to float on some bodies to cross a river. (I did like the callback to the spider section where one of the grownups was moving an obviously mechanical spider leg in an attempt to scare you away). When it became apparent that these guys were trying to kill me and it wasn’t just a misunderstanding and they had killed other kids like me, I started trying to puzzle the world together. After all, at first it seemed they’d just set up traps to keep out the giant spiders. When I saw it was aimed at me, I became to notice something. I had white (possibly glowing?) eyes. None of those in opposition to me had these white eyes. Additionally, the world has some white, gooey brain parasites that control your body (like the mind control fungus that infects ants and a similar ones affects mice!) and make you walk in a straight line until you come into contact with sunlight. So I am wondering if the reveal at the end of the game is going to be that I am in fact an agent of destruction and that by winning the game I have doomed humanity or something. Eventually the game goes from the forest to a city area. 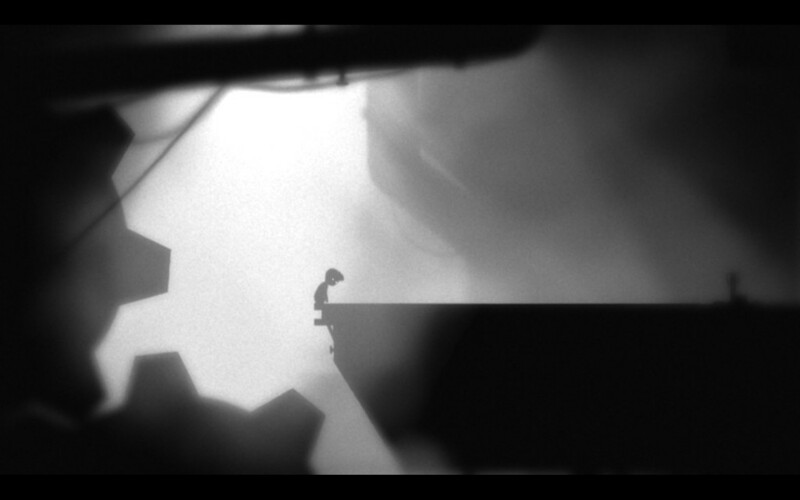 The protagonist ends up in the bowels of a factory of some sort, but it appears to be abandoned and filling with water. 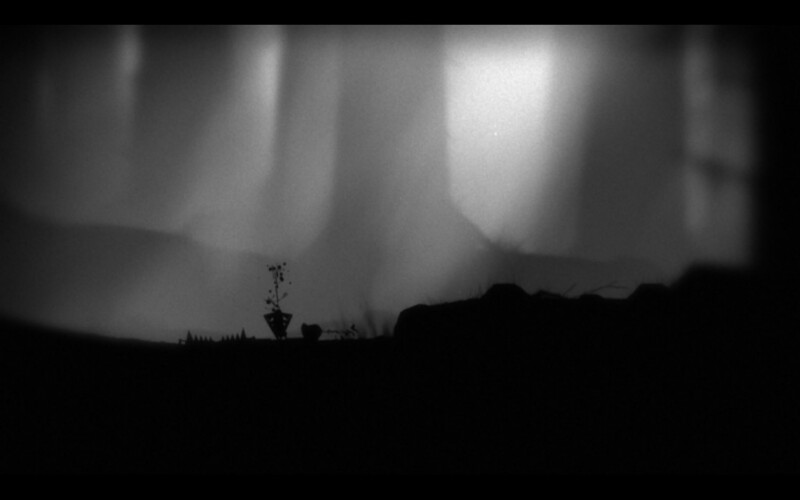 I’m not sure what has happened to the world or if it has anything to do with the fact that the game is called LIMBO and the Biblical associations that has. But at this point I’ve come to realize that perhaps my initial hypothesis is right. These brain slugs have possibly destroyed humanity and maybe the people in the forest are all that’s left of humanity and that’s why they try so hard to keep me out of the village. Puzzle Agent – WTF just happened? Puzzle Agent (2 hours) – This game had some really interesting plot twists near the end. I am proud of the face that I didn’t need to use a FAQ for the game, just exhausted my hints on a few puzzles. 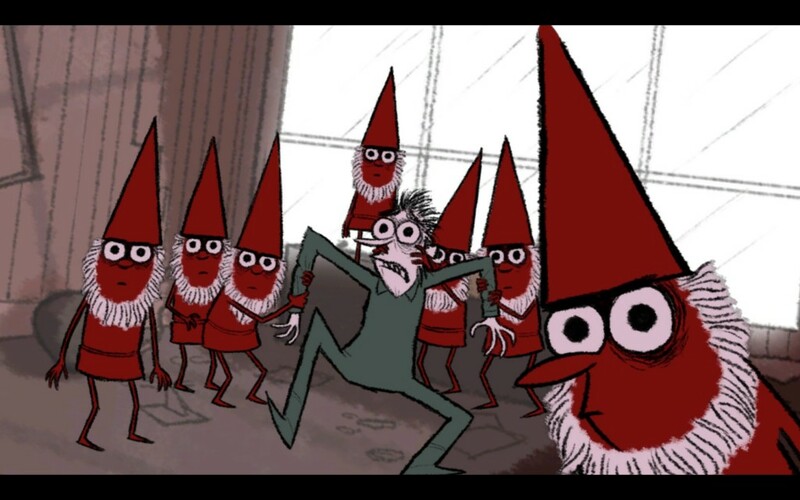 The end of my arc in Scoggins where the guy was taken by Gnomes was very strange. I was left a little confused about what’d actually happened. Had I helped or hurt him? I did like that while some of the people I initially felt were villains did sometimes end up acting to frustrated my progress, they weren’t behind the murder at the plant (there wasn’t actually a murder) and some of the people I thought would be sympathetic ended up being antagonistic. Still, it was a lot of fun and I look forward to Puzzle Agent 2. Back to the Future: The Game (<1 hour) – I fixed an error that had been causing the NAS not to work correctly and therefore made watching movies on XBMC impossible. We celebrated by rewatching the entire Back to the Future Trilogy a little at a time over the course of a week. 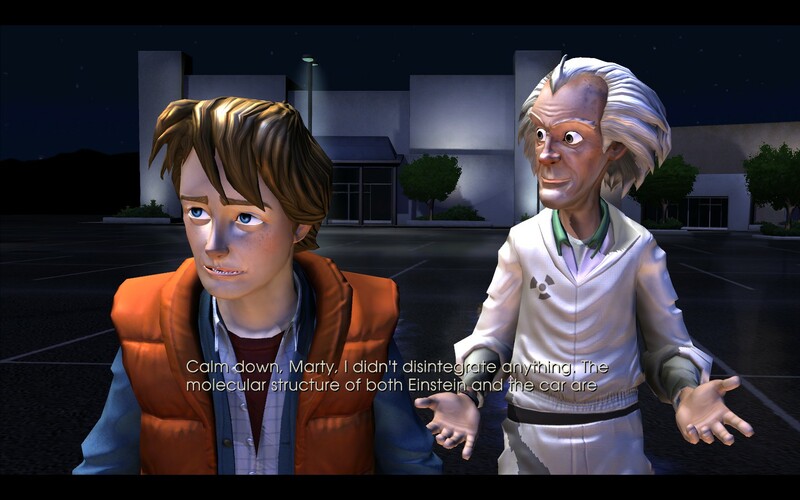 So when I went to Steam after finishing Puzzle Agent to see what game I should play next, I decided to go with the Back to the Future adventure game from a few years ago. I figured I’d be in the best position to enjoy it if the reference material was fresh in my brain. 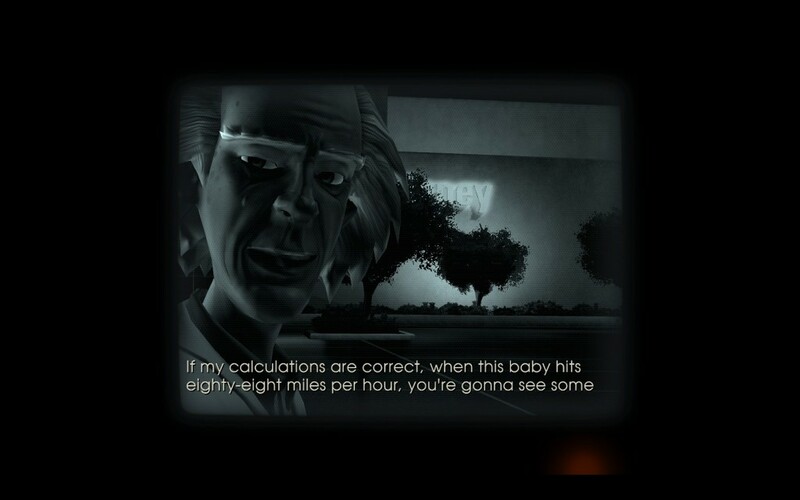 The first 10 minutes of the game appeared to be an attempt to cram in as many trilogy references as possible. I had a lot of fun during the initial dream sequence in trying to ensure the dream was accurate to what happened in the movie. 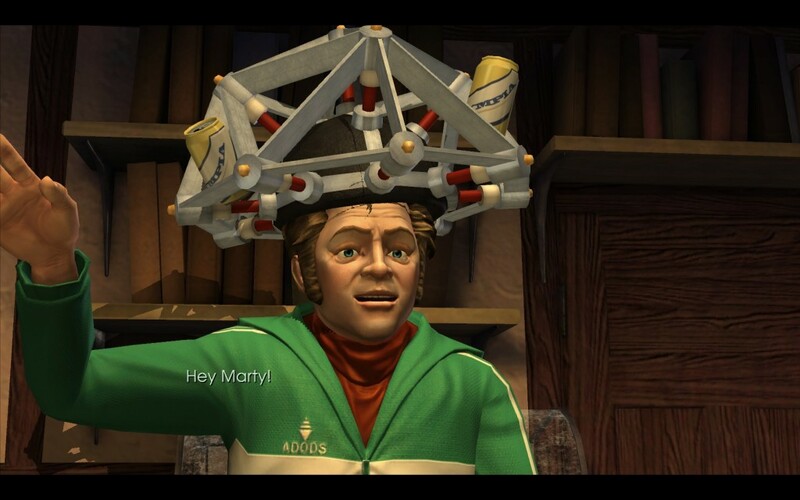 At the time I didn’t know it was a dream, so I thought it was interesting that there were other choices for Marty’s dialog. Having just seen it and having seen it at least 5 times from beginning to end (and dozens of times for varying lengths on cable throughout my life), it wasn’t too hard to match things up. I really haven’t played that far into the episode. 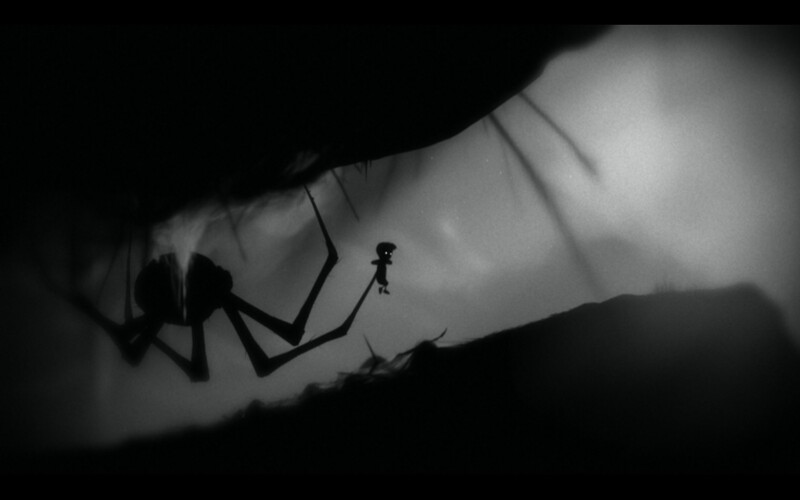 After starting up things got crazy at home and then, for some reason, I really wanted to play LIMBO. So all I know so far is that Doc is missing and has been missing long enough that his garage and research materials are being auctioned off. It also has to take place after the trilogy because Biff is scared of George and George is confident. Well, technically it can take place after the first movie, but not between the second and third because of how intertwined those movies are. However, I’m pretty sure I came across some stuff in the garage that points to the second and third movies having happened. I was excited to play the game after having played The Walking Dead, but it’s pretty clear that when they made Back to the Future they were still in an old-school adventure game mindset. (Having done Sam and Max and Monkey Island) I have a nostalgic place in my heart for those old adventure games, but I do like where the genre has evolved with The Walking Dead. Still, we’ll see if I can make it through all the episodes of the game. We’re a bunch of volunteers and also establishing a brand new plan in your group. Your internet site made available all of us with beneficial information and facts in order to works of art on. You’ve got performed some sort of strong work and also our total area may be happy for you.